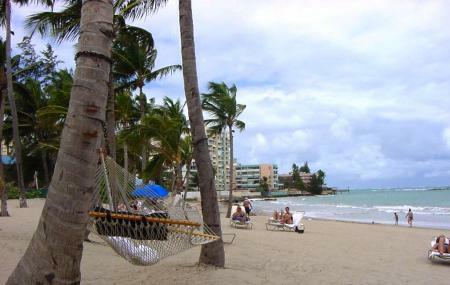 Situated in the district of Isla Verde, the Pine Grove Beach is the perfect example of an oxymoron! Made up of contrasts, one part of the beach has calm waters where visitors can go for a quick dip, swim or even snorkel. The east side of the beach however, has predominant wave action and is perfect for surfing, boogie boarding and body surfing. A must visit, no matter which type of a beach bum you are! Don't forget to apply sunscreen. You don’t want to go back home with a sun tan or worse, sun burn! How popular is Pine Grove Beach? People normally club together Castillo De San Cristobal and Carolina Beach while planning their visit to Pine Grove Beach. Great area to learn to surf. But you gotta stay to the right of the rocks under the water. Best beach in Isla Verde. Buena playa para pasar el día. El mar bastante calmado. Lugares para comer muy cerca. No cuenta con estacionamiento.